This elegant and simple Stool is perfect for any Bedroom Dressing Table. With a classic rustic feel of the chunky Oakwood, contrasting the modern, soft faux-leather cushion. 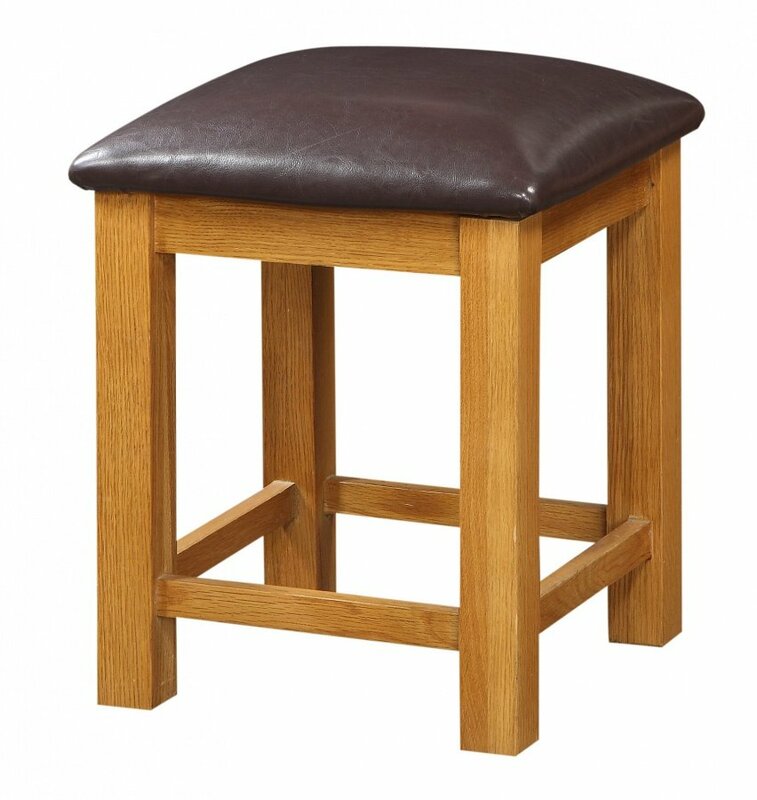 A traditional and classy stool with a footrest that looks at home in any house. With a Light Oak finish for a stylish and casual look.